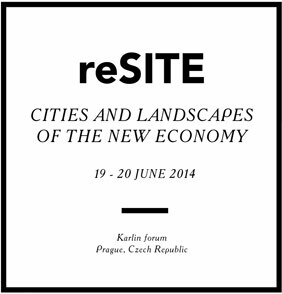 reSITE conference will be held in Prague, Czech Republic on June 19-20. reSITE is heading into its third year and quickly becoming one of the premier architecture, urbanism and landscape architecture events. reSITE 2014 will include presentations, panels and debates with over 50 leading experts from Europe, Asia and North America, while hundreds of conference delegates from dozens of countries will enrich the dialogue and experience of answering questions and forming new ones. reSITE conference takes aim at the question of modernizing and improving the metropolis. The conference will focus on providing solutions for the conflicted desires of Central European citizens; to grow and yet weave in a complex past. The themes that parallel reSITE – architecture, politics, finance, planning and democracy – they all meet when one thinks of public space. A major goal of the conference is to catalyze you – the public, design and business community – to influence positive changes in cities while we encourage municipal leaders to answer the design challenges of our generation. 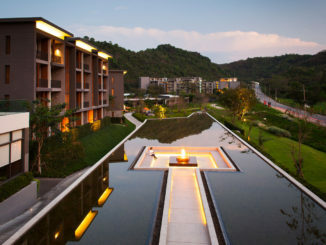 World-class speakers and critics make reSITE a unique and enriching experience. In 2014, we add Michael Kimmelman (New York Times), Edward Glaeser (Economist, Harvard University) and dozens of others to a long list of world renown speakers like Winy Maas (MVRDV), Enrique Penalosa (Former Mayor, Bogota), Craig Dykers (Snohetta), Reinier de Graaf (OMA), Alexandros Washburn (NYC Planning), Jan Gehl, Janette Sadik-Khan (NYC Transportation) and Greg Lindsay (Fellow, World Economic Forum) who have made reSITE one of the most comprehensive, professional and internationally connected conferences about urban planning, public space and architecture in Europe. The organizers of reSITE have extended the time for early registration by an additional month to satisfy the demand of domestic and foreign attendees. Thus a 15% discount on the registration fee will be provided till the end of February.